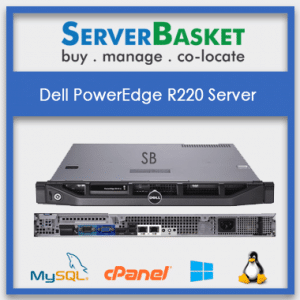 A wide range of Refurbished Dell Rack Servers are available at Server Basket. Order online today to avail best discounts. Almost every generation series of used Dell PowerEdge Rack Servers are on sale. Choose the best one suitable to the choice of your business needs. Server Basket believes in giving a wider opportunity to our customers to choose from and make their shopping easy. Also, compare and buy with the configurations along with its price tag. 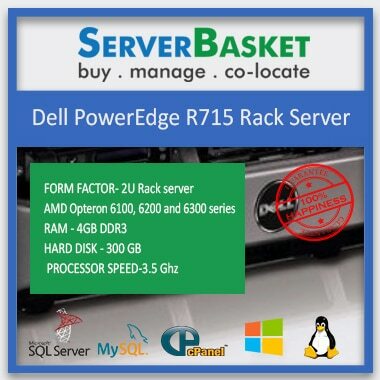 We have a great deal for whomsoever looking for Used / Refurbished Dell Rack Servers at the cheaper price. Customization facility is available. 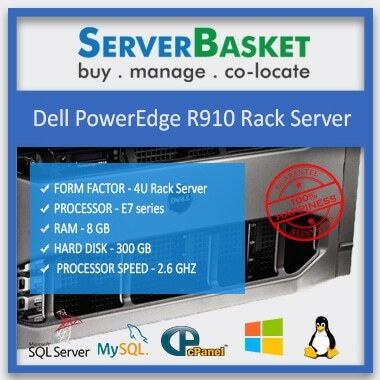 We at Server Basket will customize and configure the used Dell Rack Servers based on the given requirement lists. We hire quality technicians and experts who can deal with configurations no matter what and will configure the Refurbished Dell Rack Servers accordingly to the needs specified. 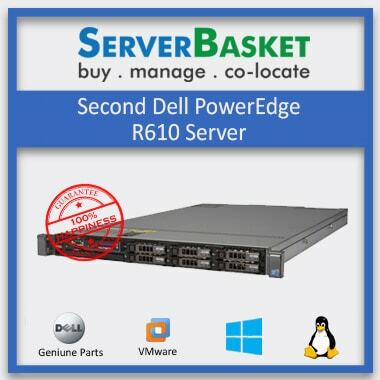 Also Check out the most popular Dell PowerEdge R610, R710, R810, and R910 server in Dell 10 Series, Dell PowerEdge R620, R720, R820, and R920 server in Dell 20 Series, Dell PowerEdge R630, R730, R830, and R930 server in Dell 30 Series. 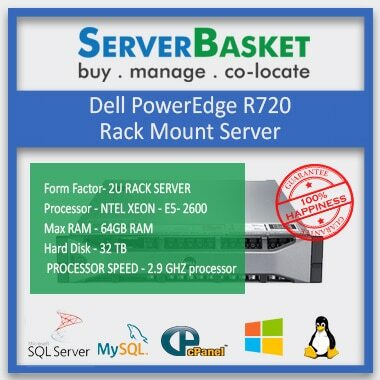 Therefore, avail this offer from Server Basket where you get to invest less on quality customizable Used Dell Rack Server giving a greater opportunity for your business upgradable chances in the near future. A powerful server requires a high-performance database storage system to deliver the performance that you are in need for. 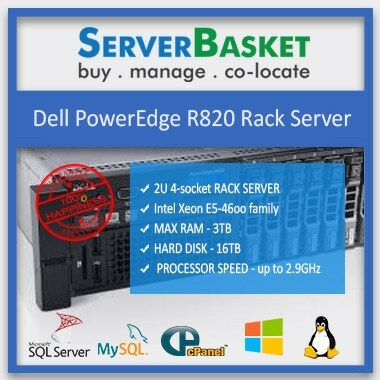 The Refurbished Dell Rack Servers nowhere compromise on the database performances and has the ability to store huge amount of data with no loss. The powerful database performance is achieved with Dell PowerEdge PCIe express flash SSDs. With the help of this, you can expereince up to 2,000+ transactions per second. Dell Servers have a huge variation in Memory and Storage capacity. Refurbished Dell PowerEdge Rack Server are scalable and can reach up to 12 TB in memory and 96 TB in storage capacity. 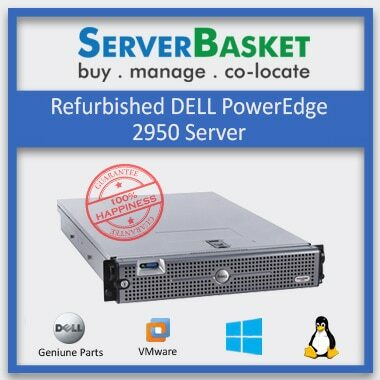 Get the high-performance Refurbished Dell Rack Server for the cheapest possible prices. 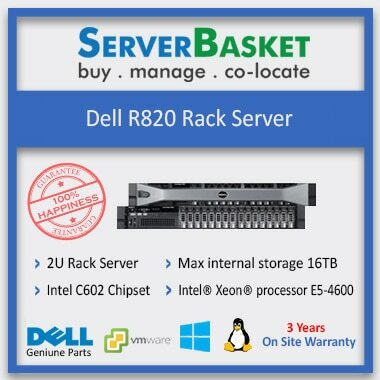 If you are looking for a Used Dell Rack Server within a limited budget range, then Server Basket is the best option to buy from. There are many Refurbished Dell Rack Servers are available of different configurations and features, avail the suitable server for your business needs with less investment and high performance. It is a great opportunity for start-ups. All the Used Dell Rack Servers which are on sale performance tested, examined and certified by the genuine experts. We also provide bulk discount to our clients without compromising on quality. We are giving another benefit to avail the free installation support. 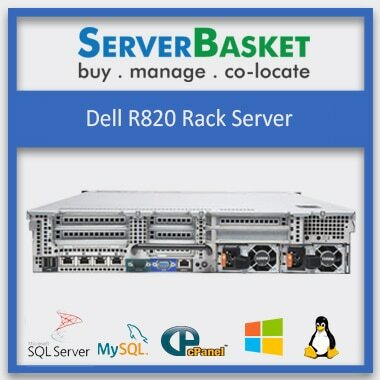 Once you order the Refurbished Dell Rack Server online from Server Basket, and it is delivered to you, our support team will be right there with no delay for installation and give a free live demo regarding every aspect. This will help you fix a lot of minute problems by yourself and help you make the used Dell Rack Servers perform efficiently. Avail a bonus of 1 year warranty on all server spares from Server Basket. For any malfunction or failure of any part of the Refurb Dell Rack Server, claim for the warranty, and we will replace it as soon as possible. You would be glad to know that we also provide warranty for barebone (chassis and motherboard) server of 3 months. Not a single competitor of ours give such good warranty for barebone server. Please learn more about barebone servers by talking to our Sales Representative. Also, do not expect a warranty for any physical damages occurred intentionally or such. Usage of the Warranty card must be genuine. Technical assistance is offered round the clock, resolving any issues raised, you don’t have to panic for a really long time since we try to fix it as soon as possible. Our technical team is well qualified and experienced in solving any kind of issue related to hardware failure, firmware crash, security issues of used Dell Rack Servers, etc. We provide support to your queries even after the warranty expires.